Mansur Gavriel has come a long way since its bucket bag days. And while the drawstring bag remains the signature piece that started it all, designers Rachel Mansur and Floriana Gavriel showed just how much the brand has evolved since its 2013 launch at the brand's spring 2017 presentation. Fresh off the duo's second consecutive CFDA win, Mansur and Gavriel gave fashion girls everywhere major style inspiration for next spring. With the brand's minimalist aesthetic intact, Mansur Gavriel showed off new footwear styles, including ankle booties, sandals, and a solid selection of mules, natch. When it came to bags, the designers played with grosgrain and silk checkered patterns, and of course the ladylike bags were plentiful. So how can you ensure that come next spring you'll have these beauties in your closet? Put down a deposit on Moda Operandi right now, and come 2017, you'll be one of the first to don the latest from the It brand. Don't wait till they sell out. Shop our Mansur Gavriel spring 2017 picks below. 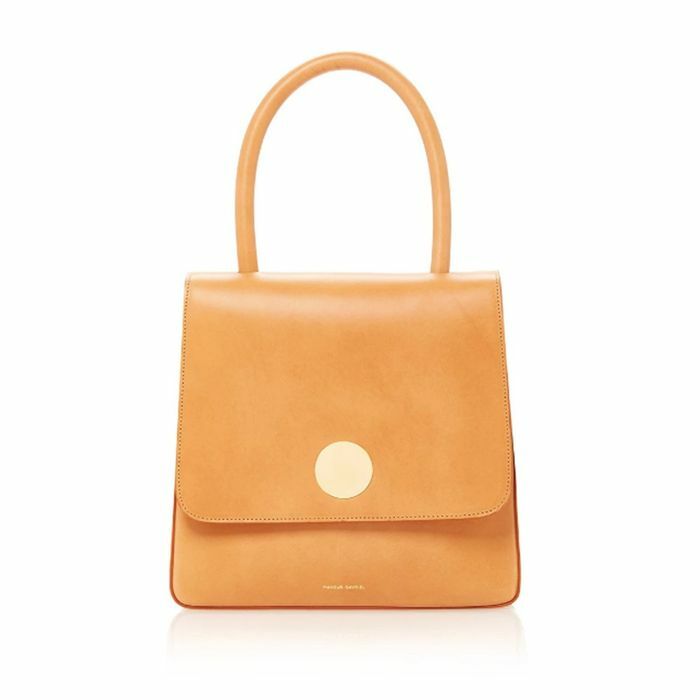 Which Mansur Gavriel pick is calling your name? Tell us in the comments!